If your work is likely to disturb or damage an asbestos containing material (ACM), then the employer or person in charge of the premises must ensure that an asbestos risk assessment is carried out. This means examining the potential risks to health and identifying which precautions are needed to make the work safe. 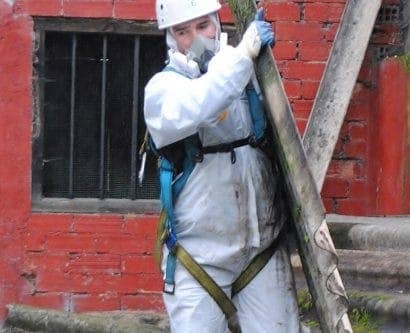 Who Can Carry Out an Asbestos Risk Assessment? The risk assessment can be carried out by anyone on the premises, including the employer, a specialist or an individual employee. What’s important is that the person is competent to do the risk assessment. The risk assessor must understand the risks from asbestos, know how these risks may affect people, have an awareness of the requirement of the Control of Asbestos Regulations 2012, and understand which precautions are required to ensure the workplace is safe. 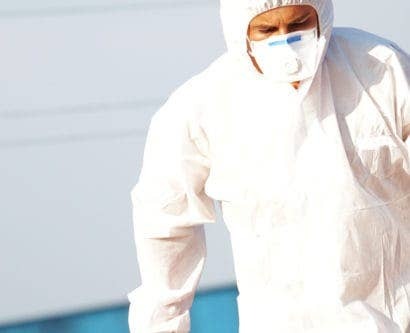 It’s essential that the person chosen to carry out the risk assessment is knowledgeable and suitably trained in the dangers of asbestos, plus the appropriate risk prevention methods. 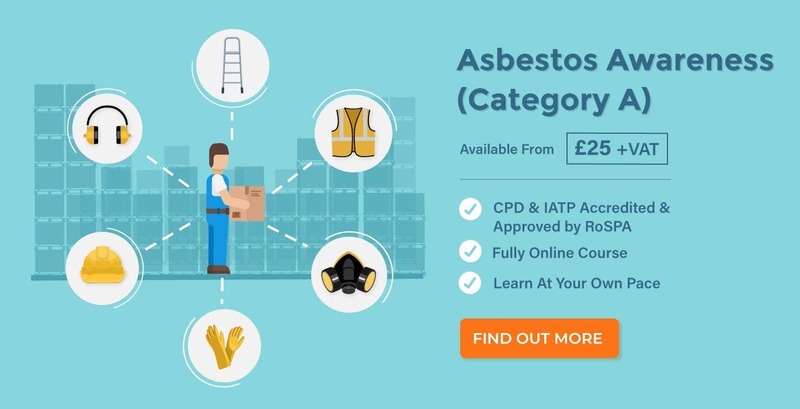 Need to get up to speed with your asbestos knowledge? 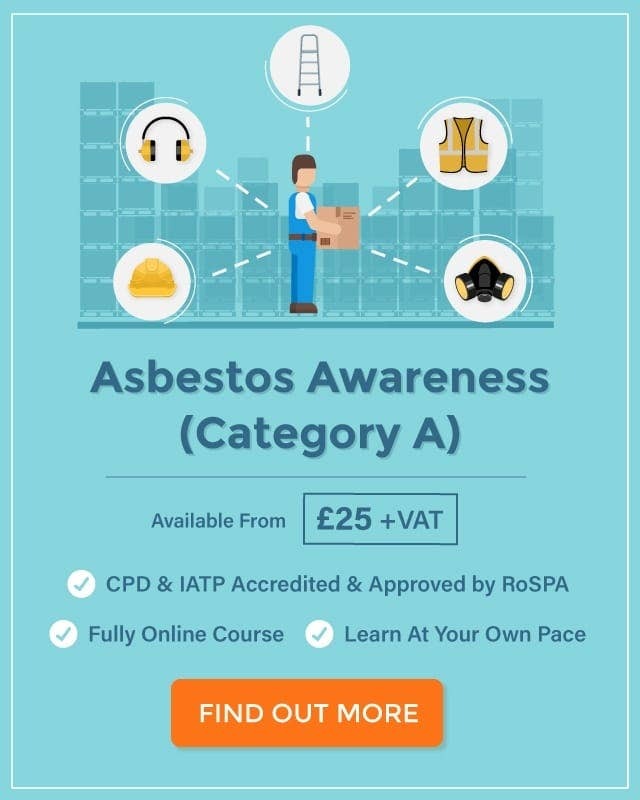 Try an online Asbestos Awareness course. Identify the risks to health. Identify who may be harmed by the risks. Identify the precautions needed to remove or reduce the risks. Record the findings and precautions, and implement them. Review and update the risk assessment when required. The competent person first needs to identify what the risks to health are. This includes identifying the general workplace hazards, such as working at height, manual handling, the use of abrasive wheels or the use of hazardous substances, which could potentially cause harm to someone. To do this, the competent person should visit the workplace and visually identify the risks, speak to employees or site owners, review any past records for the building, and consult any asbestos surveys or tests for asbestos that have previously been undertaken. The types of asbestos present. The quantity of asbestos present. The condition of any ACMs, i.e. is it damaged, is it likely to be disturbed, or will it remain intact? The friability of the ACMs. The expected level of exposure. The competent person then needs to decide who is most likely to be at risk from the identified hazards. It may be specific employees who are working directly on or near to the ACMs, or it could be members of the public, site visitors or customers who are on the premises at the time that the work is being carried out. 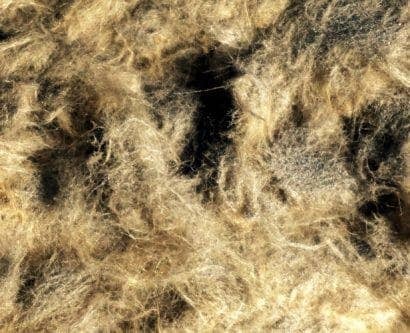 The competent person will need to identify the expected level of exposure to asbestos fibres at each area of the premises, so they can determine which people are most likely to be put at risk. 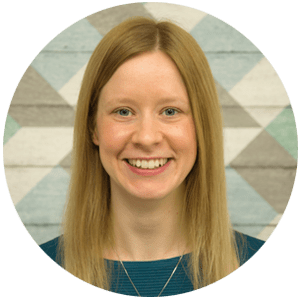 The competent person also has responsibility for selecting the controls that are needed to remove the risks or, if not reasonably practicable, to reduce the risks to as low a level as possible. Often the risks from asbestos cannot be completely removed, especially if the work being carried out requires employees to work directly on or with ACMs, but there are measures that can be taken to reduce exposure. Examples of precautions include providing protective clothing and equipment, installing local ventilation, enclosing areas of the premises and controlled wetting of specific areas of the premises. The competent person should ensure that all steps of the risk assessment are recorded, either manually on paper or electronically on a computer or device. This includes making a note of all the identified hazards, who may be affected, and the control measures that have been chosen to help reduce the risks. A record also needs to be made of which work activities are being carried out, who will be doing the work, and how long the work is expected to take. When the control measures are implemented, it’s important that they are communicated carefully to all employees, plus anyone else who has been identified as at risk. This information should be available on the premises for employees to consult. Emergency procedures include details on how to evacuate the premises, how to manage any asbestos waste, how to decontaminate any equipment, tools or clothing that be affected by asbestos fibres, and what to do after an inadvertent exposure to asbestos. The risk assessment remains valid until something in the premises changes. If there is a change, then the competent person must ensure that the risk assessment is reviewed and updated as is appropriate. Changes that would prompt a review include employee feedback, any accidents or near-misses, the introduction of new equipment or tools, new staff members and/or the identification of new hazards. To assist with your Asbestos Risk Assessment, we have produced a free fillable template. You can fill it out on the computer and print off as required! 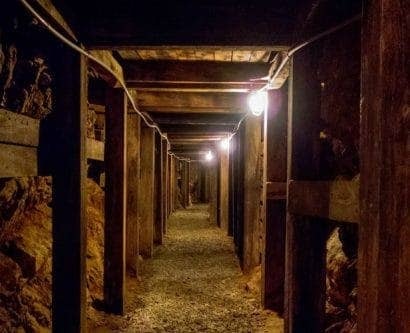 What are the Emergency & Rescue Procedures for Working in Confined Spaces?